This year, we had an exciting and educational experience attending IRCE. 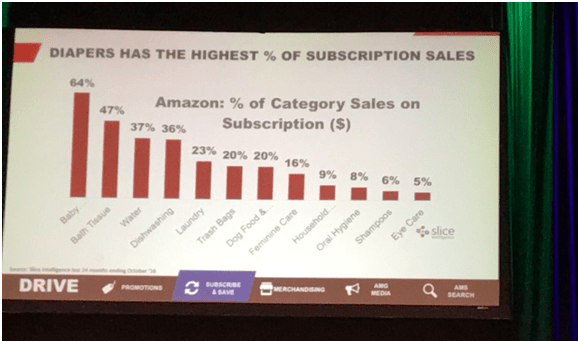 We didn’t exhibit, which gave me plenty of time to walk the floor, attend sessions, and listen to the concerns and challenges facing the internet retailer community today. I returned with some fascinating takeaways, which I plan on discussing in more details in future posts. 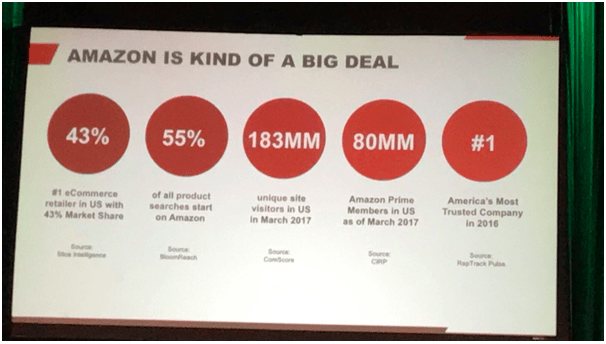 That second bubble, that recent research from Bloom revealed that over half of all product searches start on Amazon is important and revealing. 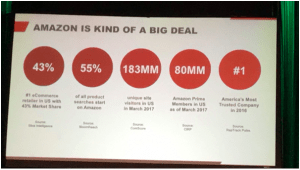 When it comes to e-commerce, more and more data is showing that customers are bypassing search engines (namely Google) and going straight to Amazon to start their shopping journey.. This is a big uptick from only a few years ago. It means that you have to optimize everywhere: mobile and desktop, marketplaces and SEM. It’s a complex world out there and, as my team and I were reminded, it’s not getting any simpler any time soon for even the largest retailers on the web. 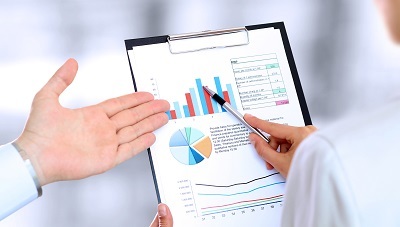 As a cloud-based platform, we already know the importance of cross-platform optimization. We also know exactly how to help brands perform on Amazon to increase conversions and market share. Looking forward to continuing this conversation in our next posts. In the meantime, feel free to email me or contact us directly any time. Here’s to an exciting 2017. Recently, on November 7-9, 2016 the nation’s largest AI Business Conference, AI World was held in San Francisco. This year’s event was a great success with over 2,200 attendees and more than 65 sponsors and exhibitors. 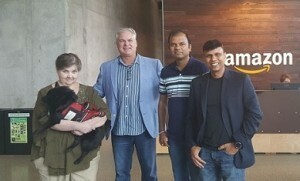 The conference and expo focused on how global 2000 businesses are using artificial intelligence machine learning and intelligent technologies to build a competitive advantage, drive new business opportunities and accelerate innovate efforts and gave executives the opportunity to learn more about how this technology can be used in their companies. Conference founder and CEO of Trends Equity Eliot Weinman said, “We are extremely pleased to announce that we more than doubled our attendance expectations for our inaugural AI World 2016 program”. Members of the eZdia team, Rahul Shah, CTO and Alok Jain, Co-CEO attended the event and spent their time interacting with industry leaders working on artificial intelligence and learned a lot about the AI industry. Today’s modern world includes a lot of automation and in many cases it begins with calculations based on certain parameters that never change. Information shared at the AI World conference indicate that there will soon be a movement away from these calculations and more towards predictions. In fact, artificial intelligence is enhancing the ability to make accurate predictions. For example: Google maps traffic predictions, which constantly changed based on data that is continuously being updated or Google’s Smart Inbox that allows users to auto-reply to simple questions such as “when are you available for a meeting”? Simply by checking your calendars for available dates, Smart Inbox can automatically reply to these emails, saving users a lot of time. 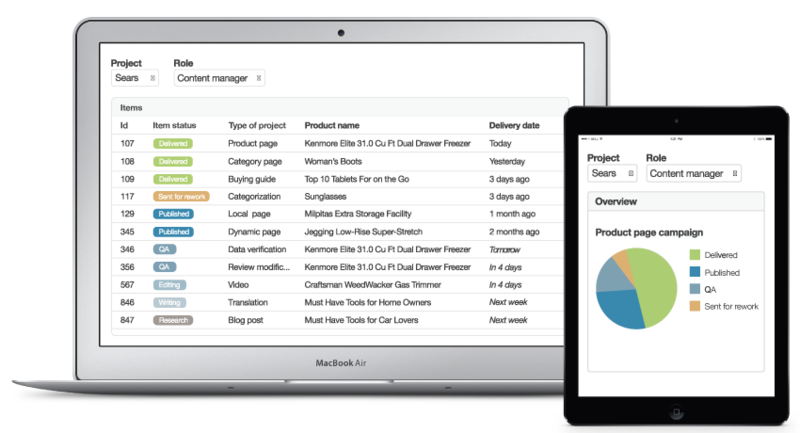 Similarly, CrewMachine uses smart predictions to keep project managers informed of important information such as the probability of a project being completed on time based on the time commitments and availability of the resources. It can even predict how much money clients will have to pay in upcoming months for completion of due tasks. Think about how a writer writes product descriptions. Information about specific attributes can’t be coded through the system, they have to be learned by people and their behavior. There are some tasks that require brain-based or cognitive abilities which have more to do with the mechanisms of how we learn. problem-solve, and pay attention rather than with any actual knowledge. Machines are good at supervised learning and a lot of innovation needs to happen in an unsupervised learning space. For example, when machine writes an eCommerce product description, it is trusting that the attributes are accurate and it is expecting the information in certain structured way. Along with all the data, the logic behind the data also needs to be provided and that’s supervised learning. For example, machine can be taught that when a person’s name ends with the letter ‘a’, it is probably a female name; it works as a logic behind the data. As you can see, our team learned a lot at AI World and the expo itself was extremely successful. So much in fact that the organizers are planning to expand the conference and expo in 2017 and have already booked a date and place for next years conference. That’s where eZdia would find value in its solutions. Several e-commerce enterprises have signed up with eZdia post Share conferences. For those of you who don’t know what eZdia does – we are a specialized content solutions company for e-commerce content creation, moderation, and amplification. We work with large e-Commerce brands such as Staples, Amazon, Walmart and others to get large scale content initiatives under control successfully. But this time around at Share, our focus was slightly different. eZdia recently spun out its content creation platform called CrewMachine. 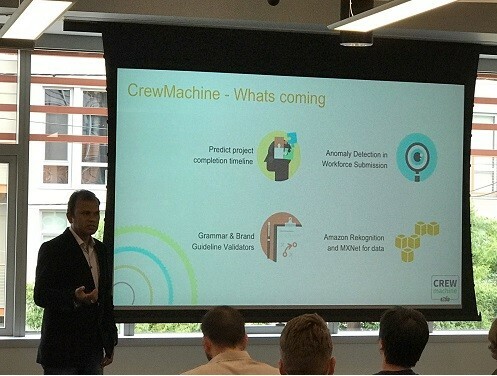 CrewMachine as the name suggests is a content creation platform that blends in the workforce (a.k.a. the crew) and the intelligence (a.k.a. the machine) that helps enterprises identify content gaps, enrich content elements, and track their performance. e-Commerce content is all about scale. And it is very difficult to preserve quality with scale. 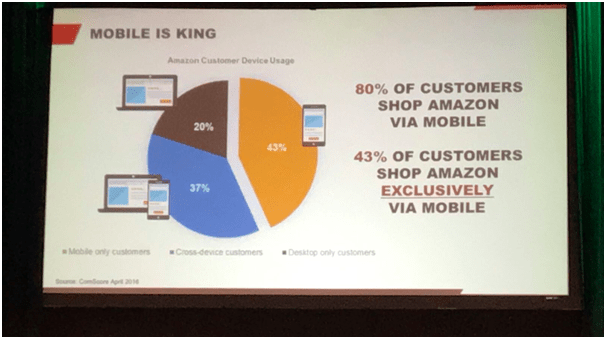 At eZdia, we saw this as a recurring phenomenon with most e-Commerce we worked with. There was an inability to optimize content performance across several thousands and millions of product descriptions, buying guides, category pages and blogs. And this would result in lost market share and decreased conversion. What if there was a system which could help to identify these content snafus easily and provide recommendations to improve conversion? Would you not use such a system? Especially if it tied in with your CMS or e-Commerce platform like Magento or Volusion? And what if we told you that we have a crew of more than 40k members who you could tap into from the platform. These folks could help to take your content to the last mile with the necessary embellishments. So, this is how CrewMachine found its purpose. To identify gaps, create and enrich content, and offer the needed data and analytics support to loop in the content performance feedback back into new content. 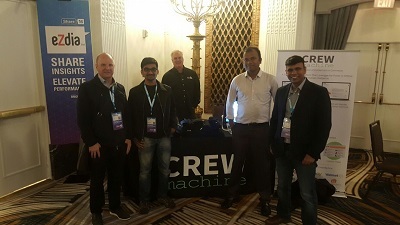 Needless then to say, that CrewMachine attracted a lot of folks (especially in the e-Commerce) to the booth. Of course, there were a lot of questions around how the algorithms came together to create content magically. There was also a lot of demand for the free content audit that we offered as the first step to understand their current state of content. There was a lot of interest in the demos and in seeing the whole lifecycle of content in action. 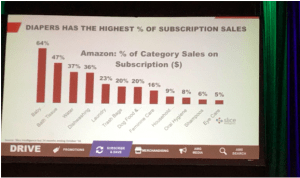 Most of the interest came from large e-Commerce but we also saw smaller enterprises flocking to see a demo and trying to understand the AI component. This conference became a big proof point to ascertain that we’re heading in the right direction with our vision. A vision to create the most futuristic platform that would solve the content problems for e-Commerce intelligently. We saw a resonance from both large e-Commerce brands and agencies in equal measure. We have big announcement plans around CrewMachine as it matures to become a strong product to play in the market alongside several others. Stay tuned to hear more from us. Meanwhile I will leave you with a few video snippets of the various features that are at work.